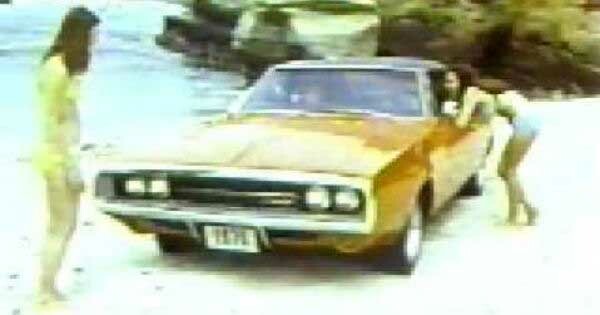 This Old School Dodge Commercial Is Hilarious! - Muscle Cars Zone! This Old School Dodge Commercial Is Hilarious! This old school Dodge commercial is just sheer insanity. It is really funny how times can change. Something that is acceptable at this time could be something very inappropriate ten years from now. Just look back through history, there is tons of material that happened in Hollywood or the media that no way that can happen today. We are talking about movies, commercials, or everything in between. In this one, we stumbled upon a Dodge commercial that dates back from the 70s. This commercial is extremely inappropriate by modern standards and is definitely something that you can`t see on the air now. Dodge aim to convince guys that if they buy a Charger, they will attract ladies. However, Dodge did not hold back at all in this insane marketing move. Just watch the old school Dodge commercial and you`ll see what Dodge want to convey here. They are really not trying to be subtle or anything so you`ll get the message quick. Today, marketing companies are way more careful when trying to do something like this. Today`s companies subtly sneak their message without being too bold about it. If Dodge did this today, we can already see the headlines claiming Dodge is misogynistic. We are not saying that Dodge is wrong or right with the intentions here, but this will definitely have a huge blowback today. This video goes to show how different culture was back in the 1970s. Even though this might be an inappropriate commercial, the Dodge Charger 500 is an awesome product and a real muscle car. Finally, are these the world`s best car commercials?